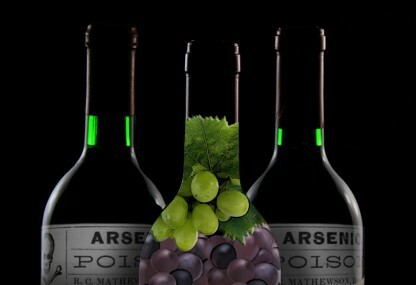 Is Arsenic in Wine a Cause for Concern? One of the oldest poisons known to humans is increasingly being found in high levels in wine. A new study of wines produced in the United States is the latest to show elevated levels of arsenic. This toxic heavy metal is linked to health risks even at low exposures. And because arsenic is also found in drinking water and other foods, like rice and seafood, researchers are growing more concerned about cumulative arsenic exposure through our diets. High Arsenic in Wine Widespread in U.S. Researchers at the University of Washington tested 65 wines, mostly reds, from California, Washington, New York, and Oregon. All but one of the wines contained arsenic levels that exceed those allowed in drinking water by the U.S. Environmental Protection Agency (no more than 10 parts per billion of arsenic). The wine sampled in the study contained an average of 24 parts per billion, and some were much higher. As a group, the American wines had higher arsenic levels than their European counterparts. Furthermore, the arsenic levels in American wines were greater than levels found in other foods commonly found to contain arsenic. Arsenic is a potent carcinogen and is poisonous to a number of body systems—the nervous and immune systems among them. Acute arsenic intoxication can easily kill you—causing multiple organ failure. But most of us will never ingest enough at one time for this to happen. Instead, we’re exposed to low levels throughout our lives through food and water. The more arsenic you ingest over time, the more you’re at risk for whole host of wide-ranging health issues, from increased risk of infections to diabetes, depression, dementia, and cancer. Lung diseases. You don’t have to inhale arsenic in order for it to damage your lungs. Exposure to arsenic in drinking water during early childhood is associated with an increased risk of death from lung cancer and non-cancerous lung diseases. Arsenic exposure could be contributing to your low mood or clinical depression, according to numerous studies. Even very low chronic arsenic exposure from drinking water (at levels below the EPA’s and WHO’s cut-off points) is significantly associated with poor mental health, particularly depression. Arsenic is a well-documented potent human carcinogen, causing cancer in skin, lungs, bladder, kidney and, possibly, liver. Ingesting arsenic-contaminated food is estimated to cause hundreds of thousands of cases of skin, lung, and bladder cancer each year around the world. Dementia and poor memory. Long-term low-level exposure to arsenic is significantly correlated with poorer scores in global cognition, processing speed, immediate memory, language, visuospatial skills, and executive functioning. These are the same areas of cognitive function that reflect the earliest manifestations of Alzheimer’s disease. Cardiovascular disease. Long-term, low-level arsenic ingestion is associated with high blood pressure and cardiovascular disease, including ischemic heart disease as well as atherosclerosis of the carotid arteries and of the arteries that supply the brain. Even in children, arsenic ingestion is linked with higher blood pressure and abnormal heart function. Long-term exposure to low-level arsenic ingestion is associated with a significantly increased risk of diabetes. Infectious diseases. Arsenic lowers the immune system’s ability to resist viruses, bacteria, and parasites. A recent study of mothers in the U.S. found that exposure to arsenic during pregnancy increases the child’s immune development and susceptibility to infections early in life. Clearly, avoiding the consumption of wines containing higher-than-recommended levels of arsenic is a good idea. Because there is no easy way to know which wines are safe, regular wine drinkers should limit their consumption to an occasional indulgence. For those not willing to give up their regular wine drinking habit, there are a number of things that can be done limit exposure to arsenic as well as to mitigate arsenic’s potential health risks. Reduce your consumption of other foods known to be excessively high in arsenic, particularly rice and rice products (especially anything made with brown rice syrup, such as cereal bars). Other foods found to contain arsenic include apple juice, milk, broth (beef and chicken), salmon, and tuna. Folate and vitamin B12. Supplementation with folate and vitamin B12 increases arsenic detoxification by promoting the key detoxification pathway known as methylation. In this way, B12 and folate supplementation protects against arsenic-induced liver and kidney tissue destruction and DNA damage. Vitamins C and E. These are two of the most powerful antioxidant vitamins, and each has been found to protect the body from arsenic’s damaging effects. Green tea. Numerous studies support the ability of green tea to protect against arsenic toxicity. Columbia Univ Acad Commons. 2013;121. J Environ Health. 2015 Oct;78(3):16. Curr Environ Health Rep. 2014; 1(2): 132–147. Am J Public Health. 2004 Nov;94(11):1936-7. Cancer Epidemiol Biomarkers Prev. 2014 July 23;1187. Int J Environ Res Pub Health. 2011;8(3):861-874. Environ Health Perspect. 2015 Jun;123(6):629–635. Environ Health Perspect. 2014 Oct;122(10):1059–1065. Environ Health Perspect. 2015 Sep 11. J Environ Health. 2015 Oct;78(3):8. Biol Trace Elem Res. 2015 Nov;168(1):122-32. J Trace Elem Med Biol. 2015 Jan;29:188-94. Environ Geochem Health. 2015 Jul 14. Toxicol Appl Pharmacol. 2013 Oct 1;272(1):256-62. Biol Trace Elem Res. 2015 Aug 5. Originally published in 2015, this post is regularly updated by the editors of University Health News. 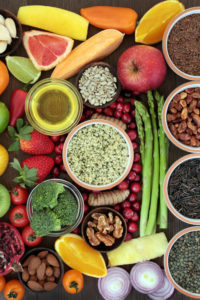 alzheimer, antioxidant, antioxidant vitamins, antioxidants, atherosclerosis, b12, bacteria, bladder cancer, blood pressure, brain, cancer, cardiovascular, cardiovascular disease, children, clinical depression, cognitive function, dangers, dementia, depression, detoxification, diabetes, diabetes depression, folate, food, green tea, health, health news, heart disease, high blood pressure, high blood pressure and, immune system, ischemic heart disease, lung cancer, lung diseases, memory, mental health, milk, mood, nutrients, oxidative damage, selenium, skin, university health news, vitamin, vitamin b12, vitamins, wine, your lungs, zinc. I thought you might be interested in this article on https://universityhealthnews.com: Is Arsenic in Wine a Cause for Concern?